Blue Wave Athletics and the California Senators are combining efforts this summer to take a run at the prestigious AABC 18U Connie Mack World Series title. 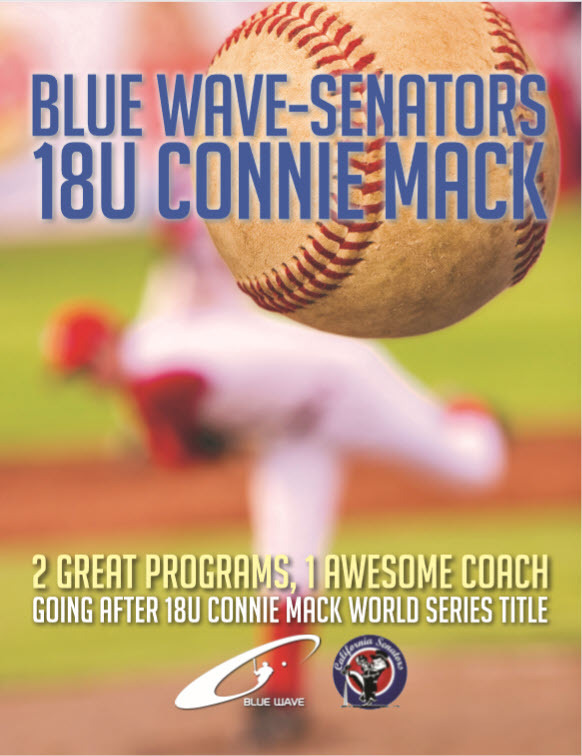 Blue Wave-Senators 18U Connie Mack team is for 2019 graduating high school seniors that want to play in the top league and events in Southern California this summer before they head off to their first year of college ball. Blue Wave-Senators is skippered by Rich Pohle, one of Southern California’s top baseball coaches/trainers and will be focused on going to the AABC 18U Connie Mack World Series. The team has an automatic berth to the Connie Mack Regional that will be held in Orange County in July. Winner of the regional goes to Farmington, New Mexico, starting July 25 to go after one of the most coveted amateur titles in the nation. More info on the team page available HERE.